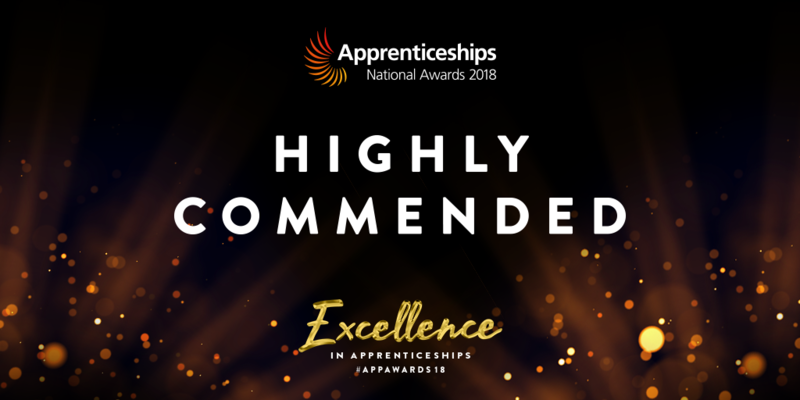 Now in its 15th year, the awards are the largest and most prestigious celebration of apprentices and apprentice employers across the country. 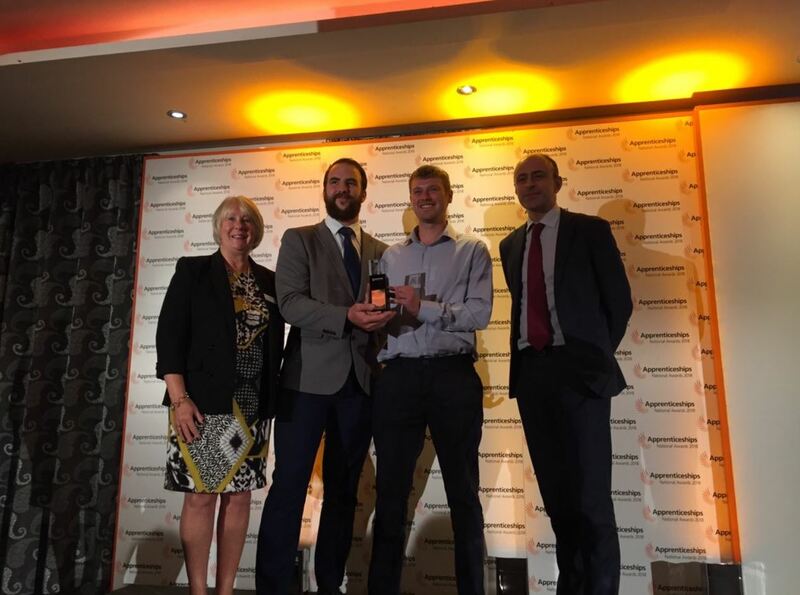 The event was held at Old Billingsgate London. 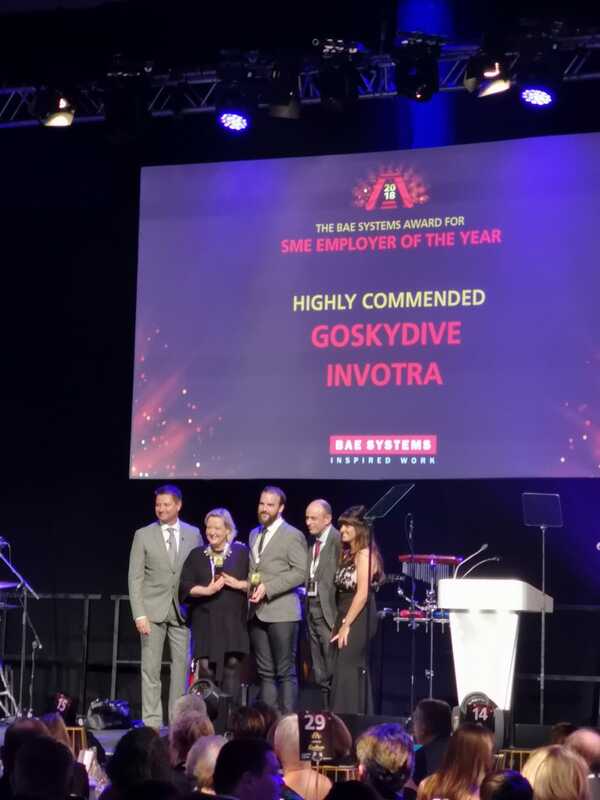 GoSkydive having won the South West SME Employer and Advanced Apprentice of the year awards in September qualified for the nationals. 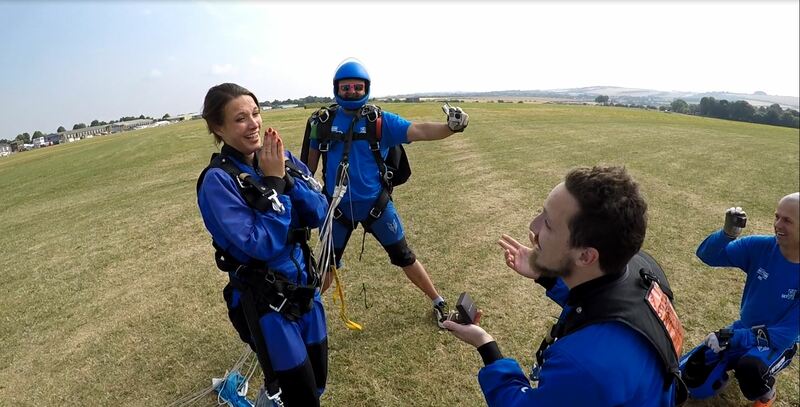 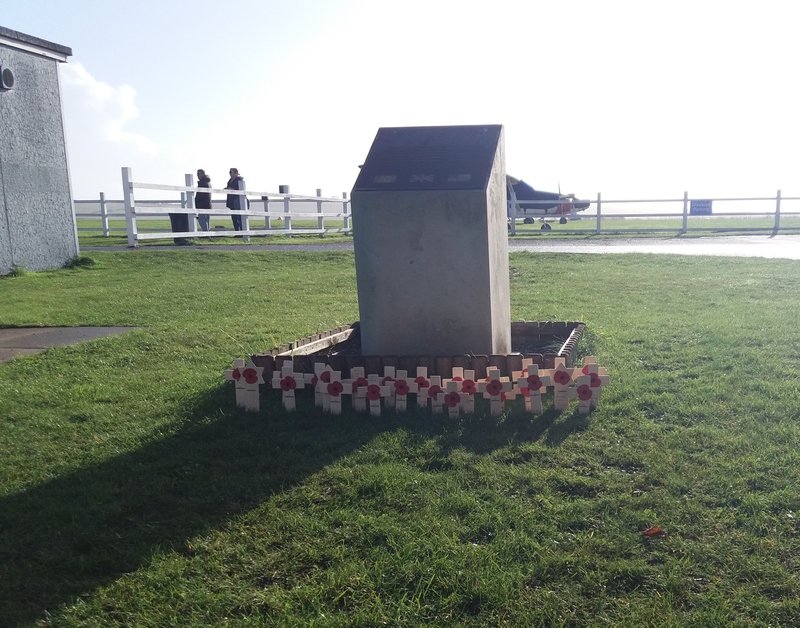 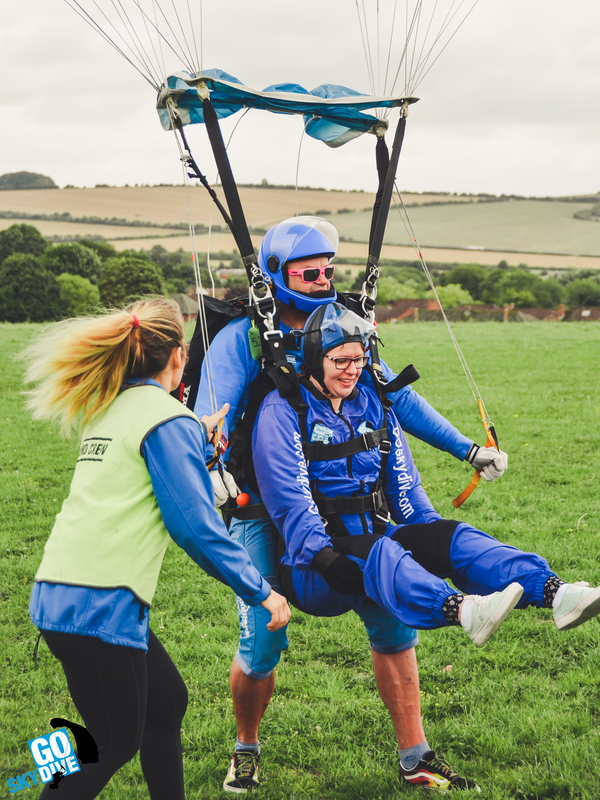 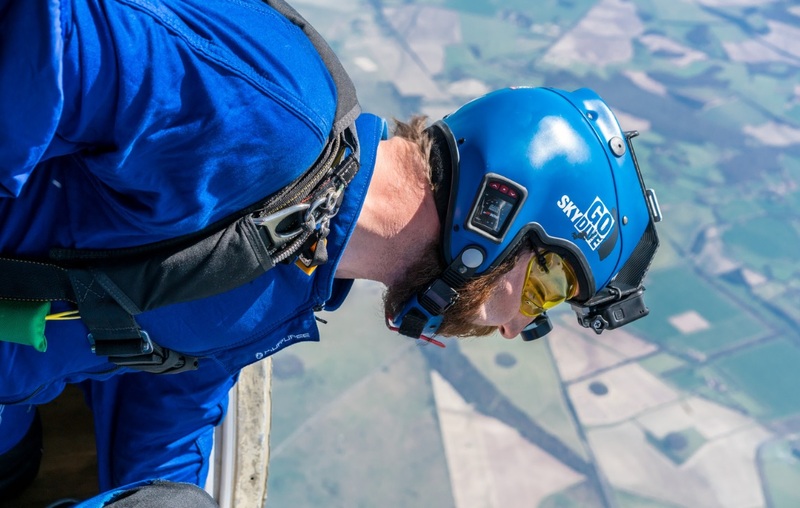 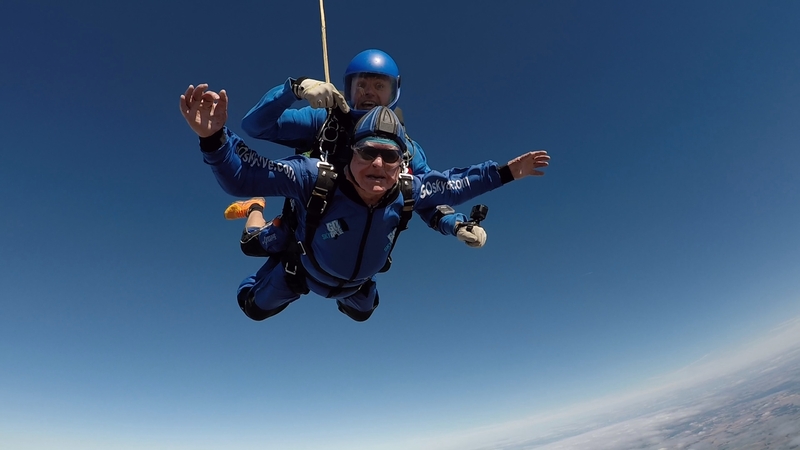 The GoSkydive apprenticeship was designed by founder Gordon Blamire in partnership with Wiltshire College and University Centre as a result of the year on year growth of the high adrenalin experience that is skydiving. 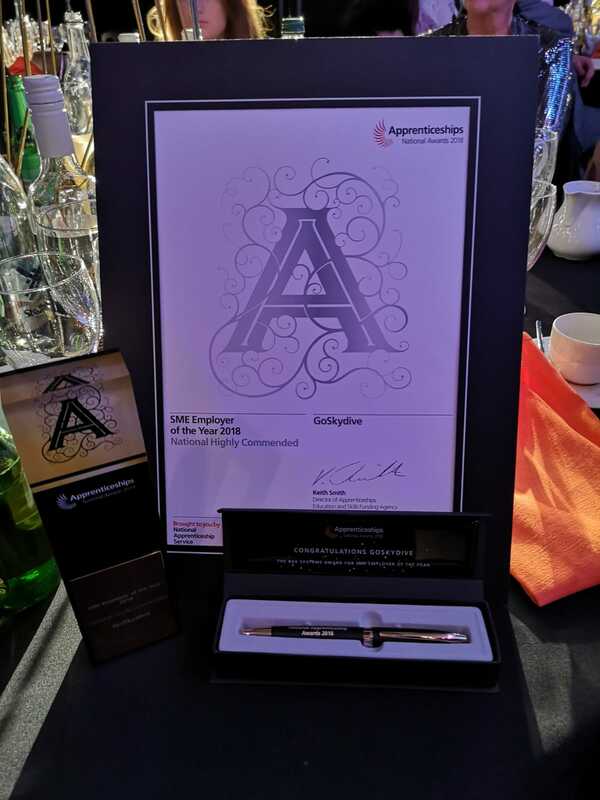 The apprenticeship scheme provides a structured career path for apprentices. 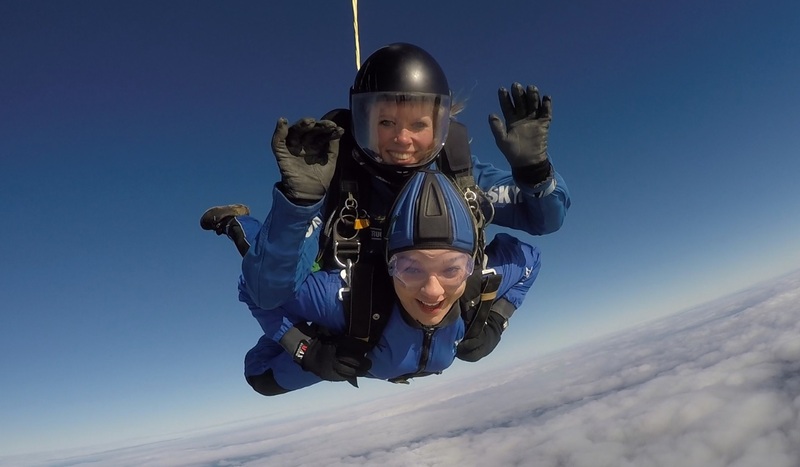 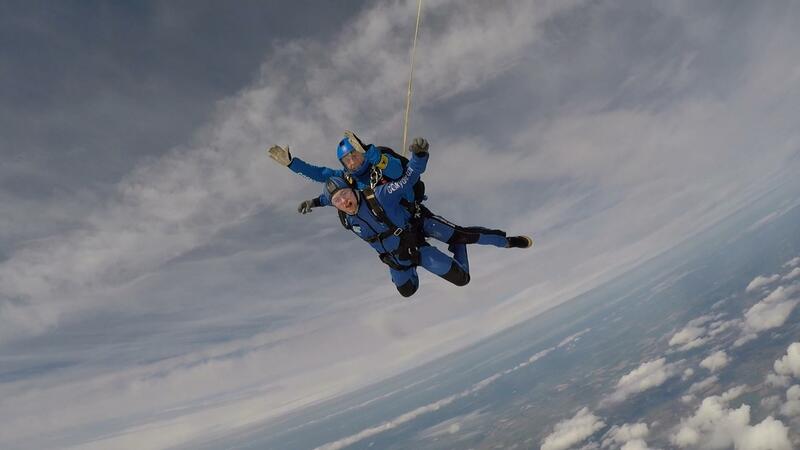 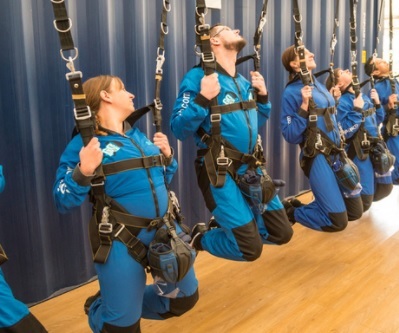 The scheme lasts 2 years with apprentices gaining key skills in all areas of the business, from sales & marketing, customer service, photography through do dropzone management, freefall photography and becoming a tandem skydive instructor.